Kick off your visit on the 14th (Fri): find something for the whole family at North Pole - Santa's Workshop and then stroll through Garden of the Gods. To see ratings, maps, traveler tips, and tourist information, refer to the Colorado Springs trip planning site . Dallas to Colorado Springs is an approximately 4.5-hour flight. You can also do a combination of flight and shuttle; or drive. The time zone difference when traveling from Dallas to Colorado Springs is minus 1 hour. While traveling from Dallas, expect little chillier days and colder nights in Colorado Springs, ranging from highs of 84°F to lows of 54°F. Finish your sightseeing early on the 15th (Sat) so you can drive to Canon City. Start off your visit on the 15th (Sat): take a memorable ride with Royal Gorge Bridge and Park and then relax and float downstream with a rafting and tubing tour. To see ratings, other places to visit, more things to do, and tourist information, refer to the Canon City journey planner . You can drive from Colorado Springs to Canon City in 1.5 hours. In June, daytime highs in Canon City are 89°F, while nighttime lows are 58°F. Finish your sightseeing early on the 16th (Sun) to allow enough time to drive to Buena Vista. The Town of Buena Vista is a Statutory Town in Chaffee County, Colorado, United States. Start off your visit on the 16th (Sun): relax and rejuvenate at Cottonwood Hot Springs Inn & Spa, relax and float downstream with a rafting and tubing tour, and then sample the fine beverages at Deerhammer Distillery. To see ratings and other tourist information, refer to the Buena Vista route planner . Getting from Canon City to Buena Vista by car takes about 2 hours. Plan for little chillier temperatures traveling from Canon City in June, with highs in Buena Vista at 79°F and lows at 44°F. Finish up your sightseeing early on the 17th (Mon) so you can travel to West Yellowstone. Start off your visit on the 17th (Mon): get to know the fascinating history of Yellowstone Historic Center. To find ratings, traveler tips, reviews, and more tourist information, you can read our West Yellowstone online travel route planner . Do a combination of bus, flight, and shuttle from Buena Vista to West Yellowstone in 9 hours. Alternatively, you can do a combination of bus, flight, and car; or drive. In June, West Yellowstone is a bit cooler than Buena Vista - with highs of 69°F and lows of 35°F. Finish your sightseeing early on the 19th (Wed) to allow enough time to drive to Yellowstone National Park. 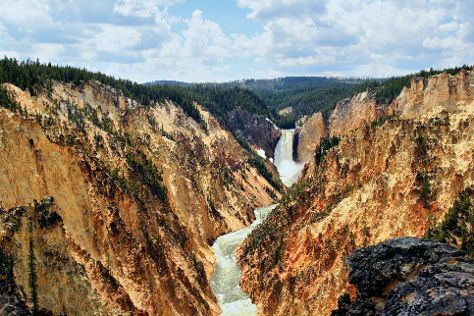 On the 19th (Wed), trek along Artist Point, then explore the stunning scenery at Grand Canyon of the Yellowstone, and then witness a stunning natural landmark at Grand Prismatic Spring. On your second day here, identify plant and animal life at Grand Teton. To see traveler tips, reviews, where to stay, and tourist information, use the Yellowstone National Park trip itinerary maker tool . Drive from West Yellowstone to Yellowstone National Park in 1.5 hours. Alternatively, you can take a bus. In June, daily temperatures in Yellowstone National Park can reach 66°F, while at night they dip to 34°F. On the 21st (Fri), wrap the sightseeing up by early afternoon so you can travel back home.